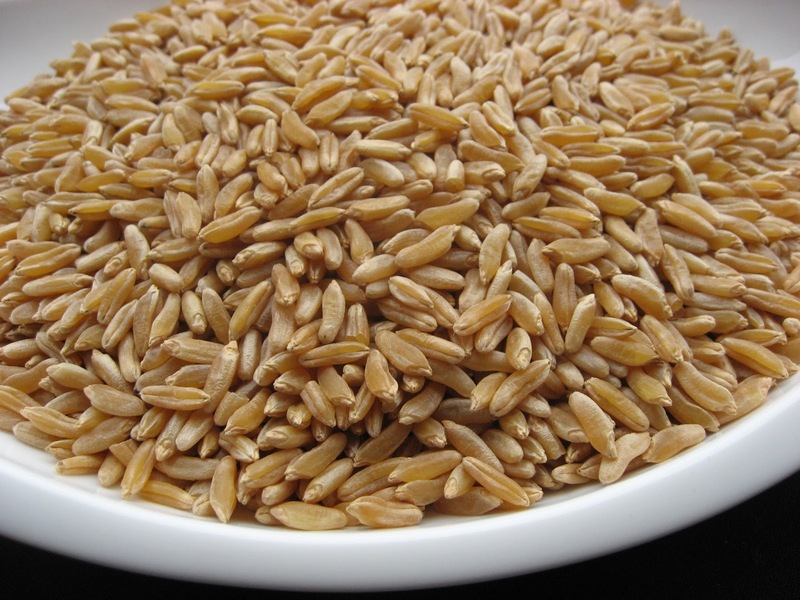 Kamut is an ancient grain believed to have originated in Egypt. Compared to common wheat, Kamut is richer in protein and contains minerals such as magnesium, zinc, Vitamins B and E, and unsaturated fatty acids. Kamut flour has a sweet, but mild taste and can be substituted for wheat in any recipe. 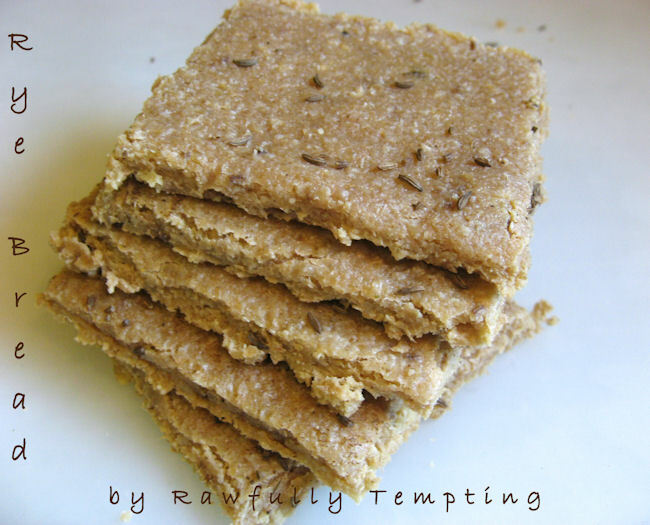 Kamut kernels may be sprouted and used in raw bread or cracker recipes. 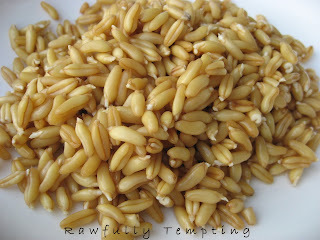 It can also be used as a malted grain or juiced like wheat grass. Some who are allergic to wheat (gluten) are able to tolerate Kamut. If you have difficulty digesting Kamut, try substituting with sprouted buckwheat. 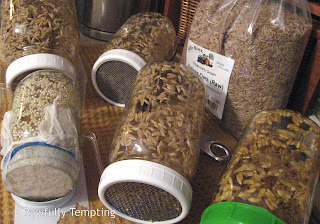 Rinse grains and cover with water in a wide-mouth glass jar and lid. It soaks up water quickly, so make sure there is plenty of water. Soak 8-12 hours. Sprout about 1.5 days. 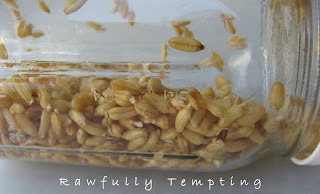 After soaked, drain and rinse grains well. Transfer to a clean, wide-mouth jar. Cover with cheese cloth or using rim or rubber band, or a sprout lid, and store in a dark, cool area, tilted downward to drain. (Dish racks work great for this with a bowl to catch drippings). Rinse every 6-8 hours until tails just start to form or it will get bitter. Once sprouted, rinse and drain well. 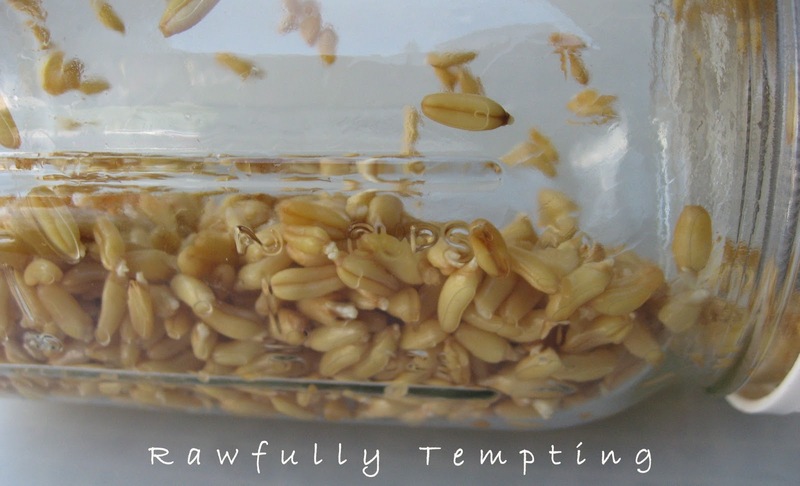 (Approximately 24-36 hours to sprout depending on temperature, seeds, etc).Sprouted Kamut can be used in bread recipes as is, or dehydrated and ground into flour. It's a little on the heavy side for me, so I generally mix it with either sprouted buckwheat and/or oats. I was just reading/commenting on the post about sprouting buckwheat. 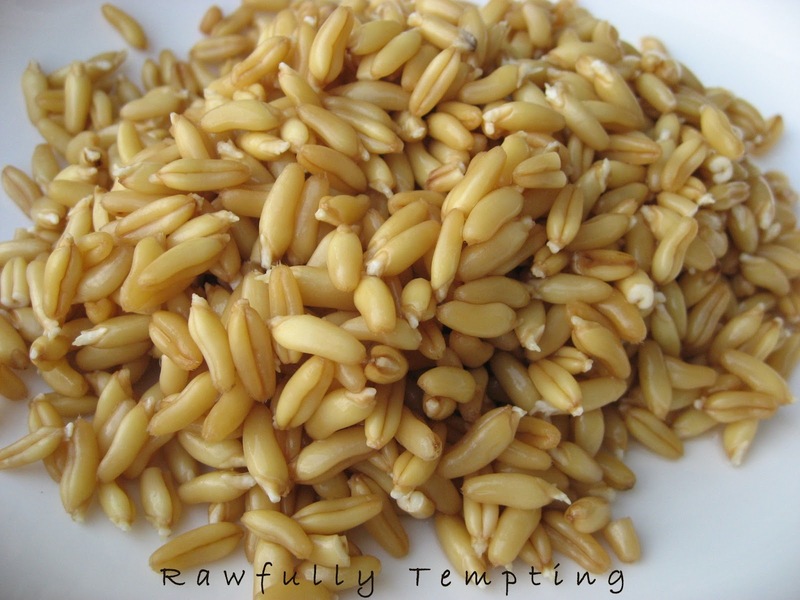 Thank you for sharing the information on how to sprout kamut.